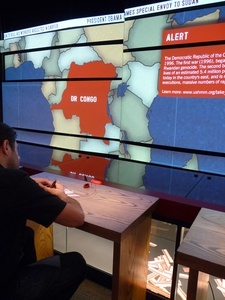 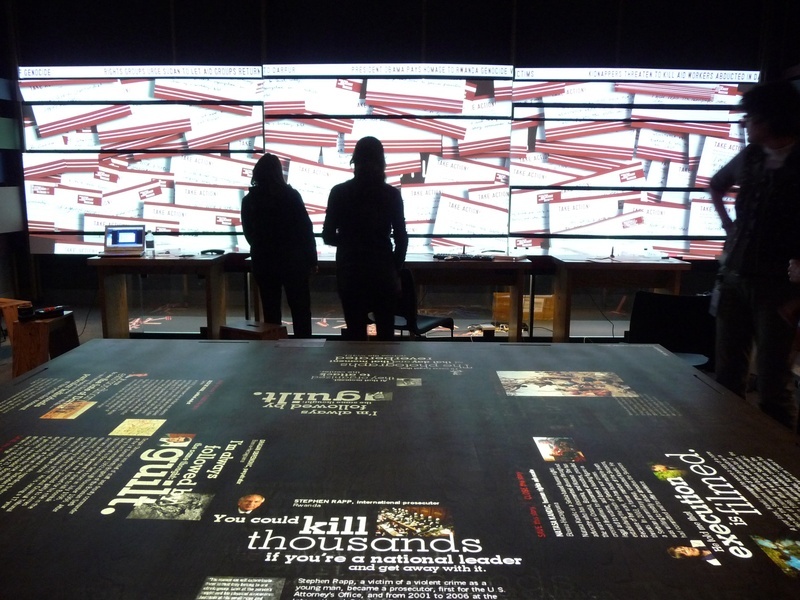 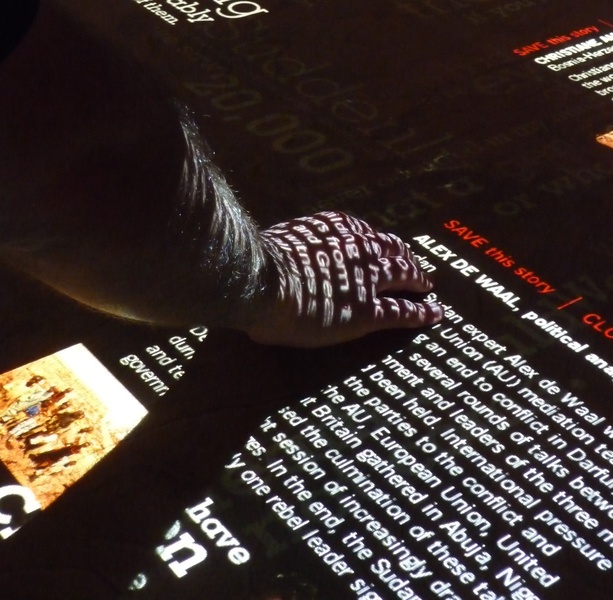 C&G Partners, working with teammates Small Design Firm and Potion, have created a new interactive experience for the United States Holocaust Memorial Museum. 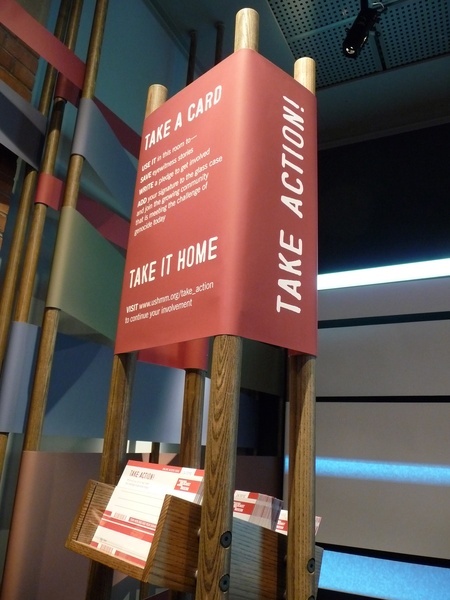 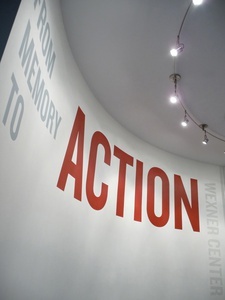 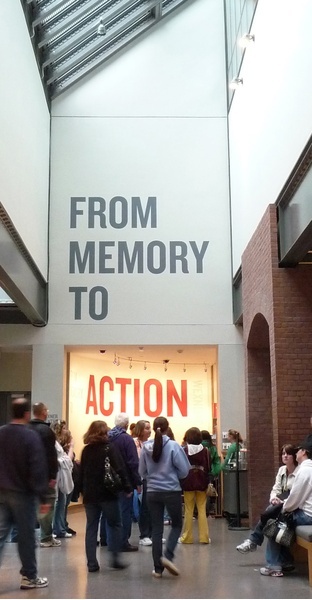 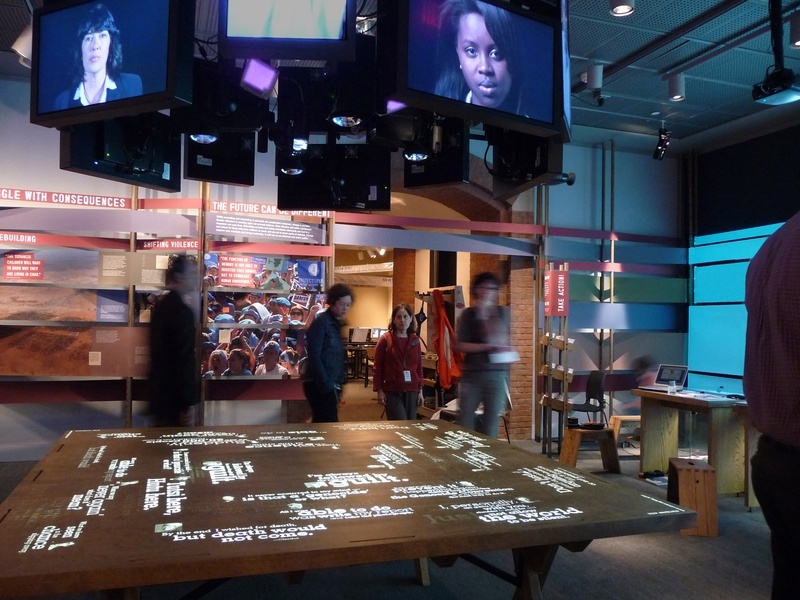 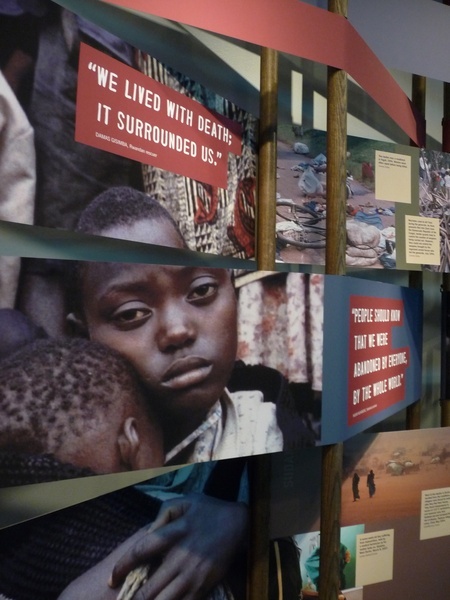 "From Memory to Action" focuses on the genocides in Rwanda, Bosnia and Darfur, and asks visitors to take action right inside the exhibit.The experience has three parts: a woven graphic wall surround that gives context for all three genocides in words and images; an interactive surface that projects the visitors' written pledges as they write them and adds them to a growing physical repository; and a multitouch centerpiece table with emotionally powerful video testimonials running overhead. A multifunction card serves as a personal memento and activator of the digital functions of the room and its related web experience. This new design, and the new "attract" wall graphic outside have more than doubled visitorship to this gallery.